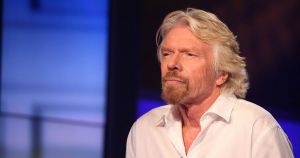 British billionaire Richard Branson — the Virgin CEO who drove a tank through New York City and crossed the English Channel in an amphibious vehicle — thinks we’re all working a bit too hard. If we all worked “smarter, we won’t have to work longer,” he tweeted Wednesday. In an accompanying blog post, he argued that innovations like self-driving cars and drones will cause more jobs to be taken over by robots. Branson isn’t the only one who believes the future of work will be less demanding. Google co-founder Larry Page has also called for the end of the 40-hour work week. “The idea that everyone needs to work frantically to meet people’s needs is not true,” Page told Vinod Khsola, a billionaire venture capitalist, as quoted by Computerworld in 2014. Other big names take a darker tone about automation. Elon Musk has repeatedly warned of automation and the future of employment. “A lot of people derive meaning from their employment. If you’re not needed, what is the meaning? Do you feel useless?” he told an audience at the World Government Summit in Dubai back in 2017. One option: universal basic income — the concept of distributing a basic income to every citizen of a nation. In fact, he argues, it would be a necessity. But just because our billionaire overlords think it’s a great to axe hours and give us more holidays, it’s still pretty unlikely that will happen any time soon.